People & Pets Together helps families facing economic hardship by providing pet food to food shelves in the Minneapolis-Saint Paul metropolitan area, by operating a pet food shelf in Minneapolis, with a veterinary assistance grant program, and through other programs designed to keep pets healthy and in loving homes. Our mission is to support the relationships that people have with their pets, and to prevent the surrender of pets during times of economic crisis. To reduce dog and cat overpopulation in the United States, we advocate for charging an additional penny a can of dog and cat food to be collected and used to help provide low cost or free spay/neuter services for dogs and cats in the United States. As we accumulate donations, we choose a spay/neuter facility in low income areas and facilitate a grant. Spay/Neuter action Project (SNAP) is a 501(c)3 organization whose mission is to reduce the number of dogs and cats entering local shelters and to reduce the number of unwanted dogs and cats who end up dumped, neglected, or abused by providing ways for low-income families and individuals to be responsible pet owners. We are here to help save the lives of companion animals in need. Those who are homeless; the abused or abandoned; the neglected and unloved, and to show them human compassion and kindness, ultimately helping them become valued family members in a loving home. Purrs & Whiskers, Inc.is a 501(c)(3) non-profit organization serving Stafford, Virginia and its surrounding areas, whose mission is to provide temporary foster care while actively seeking loving permanent living situations for individual cats, stray, free-roaming, or homeless cats. This is accomplished by providing compassion, daily nourishment, and basic wellness care. When feasible, we collaborate with local shelters in an effort to relieve over-crowding by identifying and adopting out shelter cats into appropriate, permanent living situations. Blackdog All Breed Dog Rescue is a licensed, not for profit organization dedicated to the rescue and rehabilitation of abandoned dogs from high kill shelters. We primarily serve the Chicagoland area. As a volunteer based rescue, all funds are reliant upon donations, sponsorship's and grants. Funds are used mostly for medical care for the dogs in our care, as well as training and general care for those that require rehabilitation. It is the mission of Blackdog All Breed Dog Rescue to decrease the amount of dogs dying in shelters locally and nationwide, while sponsoring spay/neuter/vaccine/microchip programs to further educate the public towards becoming more involved in animal welfare. CASI's mission is to rescue, rehabilitate, and re-home stray, abandoned, and abused dogs and cats into loving homes in the community. To provide shelter, straw, food, spay & neuter, and medical care to those who are forced to live outside. 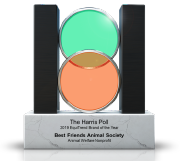 The Hall County Animal Welfare Facility is dedicated to the overall welfare of all animals that pass through our facility. Our main focus is on superior care for the animals and the most effective and efficient adoption program in the area. We will continually strive to maintain the most professionally ran shelter possible. We will maintain a clean, friendly, healthy, and positive environment for the animals throughout their time within our facility. We will continue to provide professional service for the citizens of Hall County so that they may get the most positive experience possible anytime they visit our facility. The Hall County Animal Welfare Facility will continually work with rescue groups, veterinarians, and other local and national agencies to insure that every measure possible within reason and scope is exhausted in order to place our animals before other steps have to be taken. We will provide community outreach programs to better educate the public on issues of animal care and maintenance. We will provide free seminars and classes for youth groups and other youth oriented organizations. We will also provide tours and printed information for the general public. Simply stated, our mission is to provide the ultimate in animal care and to place as many animals as possible into safe, healthy, and loving homes through continued efforts in all related areas. IMON's mission is to reduce overpopulation, euthanasia rates, and suffering in our community via the historically successful practice of Trap-Neuter-Return (TNR), adoptions, and through education of the citizens.